Skydive in Chicago - Professionalism, Safety, Adrenaline! 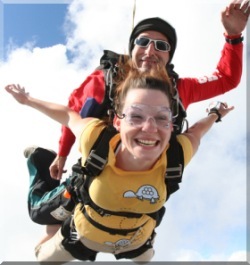 Home / Skydive Chicago – Professionalism, Safety, Adrenaline! Experience an unforgettable adventure – Skydive Chicago! The Chicago region is one of the skydiving leaders in the United States with proven safety records, ideal spring, summer, and fall jumping weather, and amazing vistas. Chicago is now one of the hottest places to be if you are into extreme sports. 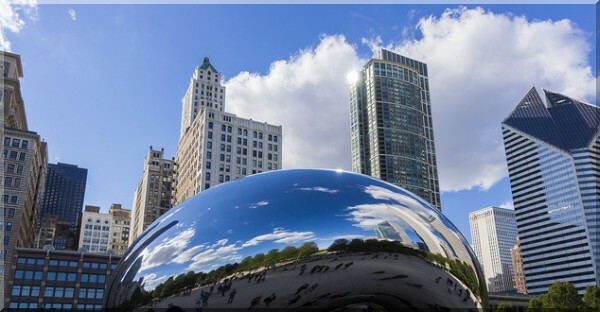 Although often known as the “Windy City” this region is perfect for all types of skydiving jumps. There is no better view than seeing Lake Michigan from 14.000 feet up in the air. Due to the flat terrain and low elevation, skydiving near Chicago also offers great landing conditions. Whether you are an Illinois local or a tourist, skydiving in Chicago is guaranteed to be a safe, exhilarating, and adrenaline filled experience. First Step: Check Groupon for Chicago Skydiving Coupons up to 90% off! When skydiving in Chicago, the one big factor to keep track of is unstable weather patterns. When rain or thunderstorms arrive, skydiving must always be canceled. According to recent recordings, storms have been most active during the night so if you plan on having an uninterrupted experience, you should plan for hours between 9 AM and 6 PM. Also check our very own extended Chicago skydiving weather forecast on the sidebar of this page to assist you in scheduling a skydiving adventure. As the locals well know, Chicago is a four season city. It has mild summers averaging at 75.8 °F and cool, snowy, and windy winters with a January average of 25°F. Spring and autumn are pretty much the same with average temperatures as high as 60°F. Rain is rarely an issue but storms can form without much warning. You can skydive Chicago year round but summers are the most calm season to do so. August is excellent because it comes with moderate wind speeds and relatively stable weather. Lake Michigan sometimes contributes to Chicago weather conditions and the wind blows at speeds of 8 mph that can increase to 12 mph in early September. Fog may also be present during morning periods in the beginning of October which can delay skydiving jumps. Chicago winters can have unpredictable weather patterns and are the most likely season to have a skydiving jump canceled. Although temperature is not the most important factor when it comes to this extreme sport, most skydiving Chicago based companies close their gates during this season because of the combination of wind, snow, and low temperatures. Winter aside, skydiving in Chicago during the spring, summer, and fall is bound to be a safe and exhilarating experience with great views, complete packages, professional services, and a beautiful city.